If you're looking for a small family car that's good to drive and reliable, but you don't want to follow the crowd, the 3 could fit the bill perfectly. With great dynamics and strong build quality, the 3 is well worth a closer look - but running costs can be high. If you're tempted, choose a post-July 2006 car as these have better chassis settings and improved interiors. While the 3 is class-leading in few areas, as an all-rounder it's a great small family hatch; just ask any owner. 12/03: The Mazda 3 debuts. 7/06: The 3 is facelifted, with a revised nose and tail, improved interior trim and recalibrated suspension. 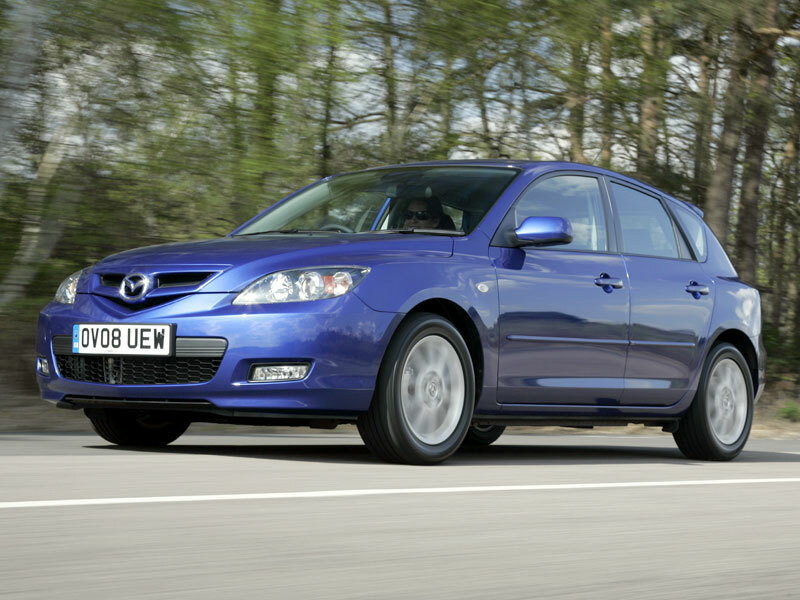 11/06: The 2.3-litre MPS (Mazda Performance Series) arrives. 1/07: A 2.0-litre turbodiesel appears. 5/08: All cars get extra standard equipment. Steering creaks and groans mean new front suspension bushes are needed. A knocking from the front when the engine is cold, is the exhaust rattling. On diesels, black or blue exhaust smoke points to a failed turbocharger. The exhaust gas recirculation valve can fail on early 1.6Ds; look for uneven idling or hesitation when accelerating. The end of the plastic dipstick of the 1.6D engine can break and drop into the sump; the only fix is to remove the sump to retrieve it. Some 2004/2005 cars have suffered from corrosion around the rear wheelarches. The alloy wheel lacquer can bubble and blister.